OUTER BOX HAS SCRATCHES AND RESIDUE FROM REMOVED PROMOTIONAL STICKERS => SEE IMAGES! Cons: Lasted just about 2 years before it failed. Completely out of the blue, nothing leading up to the failure. Paid to have IT look at my machine and they determined mobo failure. Very unexpected as it worked totally fine until I went to start up one day and nothing turned on besides a blinking power LED light. Other Thoughts: Had issues with an ASUS chromebook too so I wont be getting another ASUS product, very disappointed. Cons: ...until it didn't. Died after one year. Another year later and I am just now getting around to seeing if I can have it replaced under warranty. I bought it for a new build/replacement of my old motherboard. I didn't do a new build right away. So left it in a box for almost 1 year. Took it out and put it together. I spent more than 4 hours trying to trouble shoot the issue and it turns out the MB was DOA. So now I am stuck with a dead MB as I have to go out and buy a replacement for it (got the MSI Z390 gaming plus and it runs great). Now I am hoping that the warranty has not expired so that I can get a replacement; otherwise, I have an expensive paperweight. Other Thoughts: - I would recommend this MB to other if it is working otherwise, no. I have bought ASUS MB before as my old MB that died on me after almost 7 years ran beautifully. Cons: One of the connections to the power was hard to put on / sometimes I have to jam it in further so my computer will turn on. USB's randomly turn off after waking up from sleep. Other Thoughts: It was highly reviewed when I bought it plus it had a combo with the i7 I was after. I would definitely spend the extra buck on a better mother board. I should have stuck with Sabertooth. Pros: Has worked for everything that I need. Lights up and looks good. Cons: no problems with it yet. 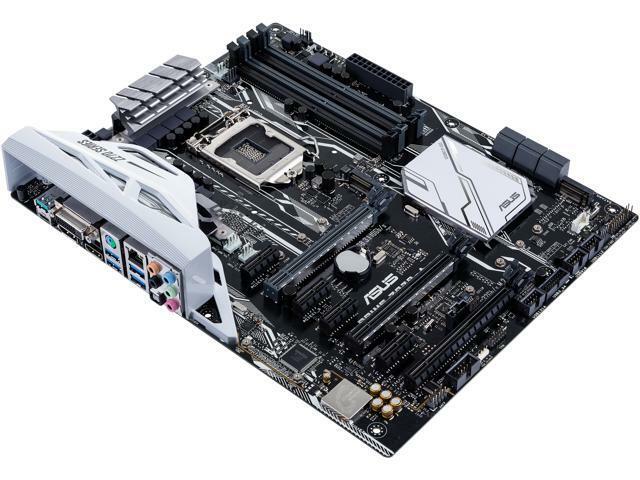 Pros: I used this motherboard for my gaming pc for about 6 months and it works great. I did see a lot of mixed reviews about this motherboard and I have to say I’m not having any problems. It lights up all the time which is awesome it looks great in my case. Cons: None I can think of at the moment. Cons: - The Thunderbolt and USB 3.1 died two years later. Other Thoughts: I'm usually a ASUS fan, but the fact that this motherboard started failing after two years of use is worrisome. I have started noticing a pattern with other ASUS motherboards that came out the same year. I wish I waited a little longer for more reviews before buying this. Motherboards should at least last 5 years before they start failing. Thank you for your review and I certainly understand the inconvenience this may have caused, and please accept our apologies for the inconvenience. All ASUS products undergo intensive quality control testing and inspections, this is a random problem. ASUS provides warranty coverage in order to fix or repair any product that may stop working prematurely under normal usage. Were there any unusual power issue? Have you tried reconnecting your respective cables? Try updating your BIOS to the latest version 1302. Should you need further assistance sending the unit in for out of warranty service. ​You can reach me at cl-adrian@asus.com. -Even with a power conditioner (an electronic unit specifically designed to deliver clean power), I still get hiccups. Other Thoughts: I'm very much over RGB in my computer. It's nothing but a hassle with buggy software. I'm replacing this unit with another z270 MOBO that has more I/O's and reinforced parts. I feel like I can get more value from something in the same price range where the money was put into components rather than marketing. I want to thank ASUS for providing me with a good starting board, but would like to see more focus on quality rather than gimmicks that don't work. Thank you for your review and I certainly understand the inconvenience this may have caused, and please accept our apologies for the inconvenience. All ASUS products are manufactured with materials that comply with industry's quality standard and each one undergoes intensive quality control testing and inspections. Can you provide a little more details on the Hiccups? What power supply are you currently using? You can indeed customize your RGB by using ASUS Aura. If you can can you send me your full specifications for further investigation, so i can help you out. ​You can reach me at cl-adrian@asus.com.